going into this, i knew i wanted to keep the budget low and make as much decor as i could over buying things. 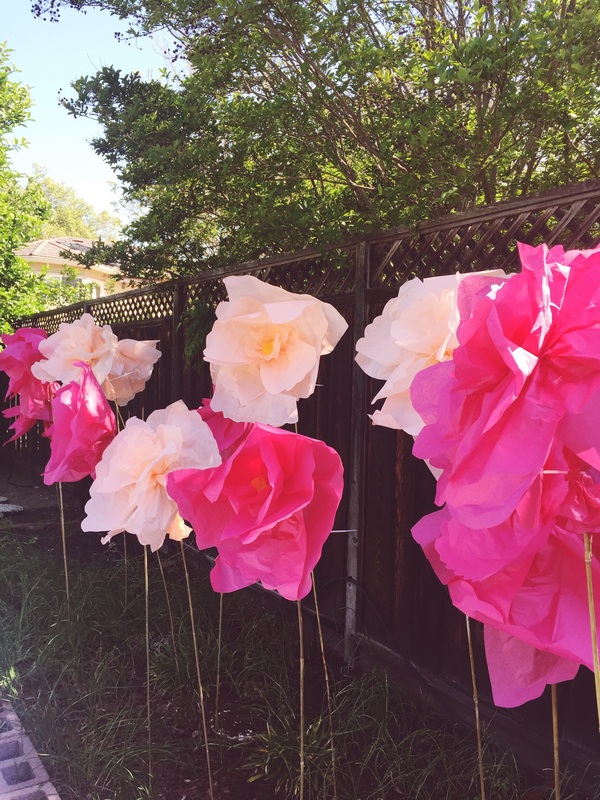 i also knew i had to incorporate over sized paper flowers somehow because they had been on my mind for months. 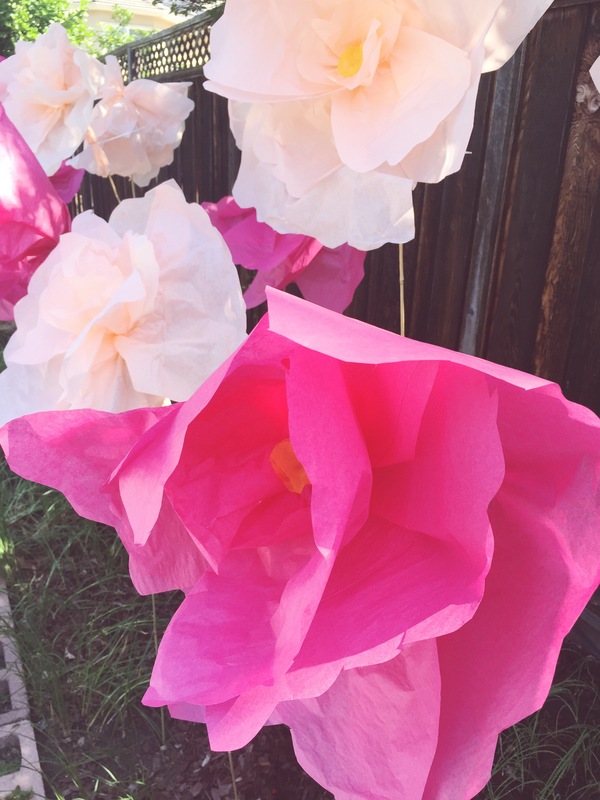 i started with the paper flowers and took off with decor from there. can i just say that paper flowers are a lot harder to make than they look. well maybe not incredibly hard but they are time intensive. the hardest part is definitely figuring out what to use for the stem (b and i discussed possible options many nights before falling asleep). 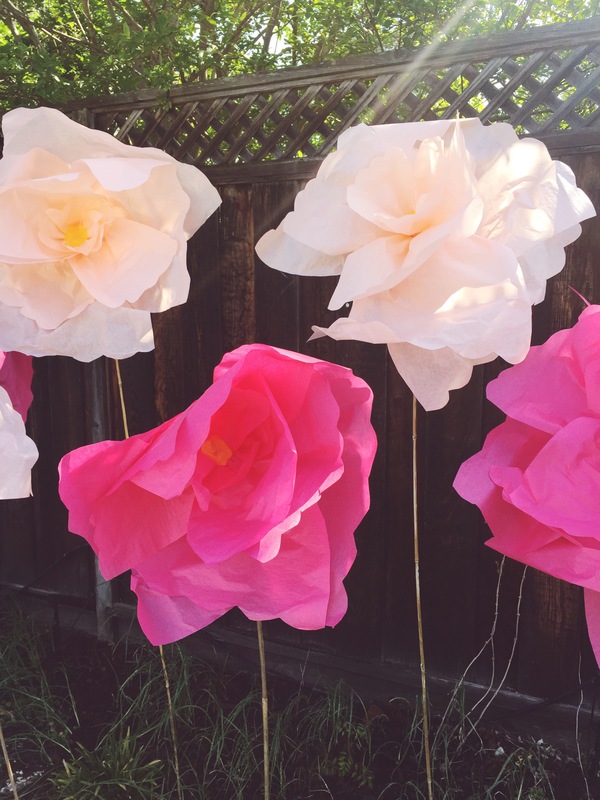 i searched for hours trying to find the best over sized paper flower tutorial. i went back and forth but decided i liked designsponge’s tutorial best. the shape of her flowers were very peony-esque and anything peony is a winner in my book. the only downfall with her tutorial was the stem. the money to buy cement and wire didn’t seem worth it (not to mention the extra tissue paper and time). i didn’t know what i would do with the flowers after and having so many large flowers didn’t seem practical. i also couldn’t fit the recommended wire in my car (due to length) so there was that, which probably pushed me over the edge to find another way. i studied the house that lars built‘s flowers for a while and couldn’t figure out for the life of me what her stems are made out of! if anyone knows, please enlighten me! i even brought a picture to home depot but the employees had never seen anything like it. i think it may be some type of pipe. i threw in the towel. there had to be an easier way! and there is. it may not be as dramatic looking but picking up bamboo sticks from home depot did the job. i wanted to add some leaves to the bamboo as shown in designsponge’s tutorial but the flowers themselves took me more time than i thought. overall, i was super happy with the outcome. just wish the wind would have cooperated a bit more. i bought the tissue paper via papermart . this vendor was recommended by oh happy day and ended up being a lot cheaper than buying in any party store. now with the superstar out of the way, i moved on to the centerpieces. 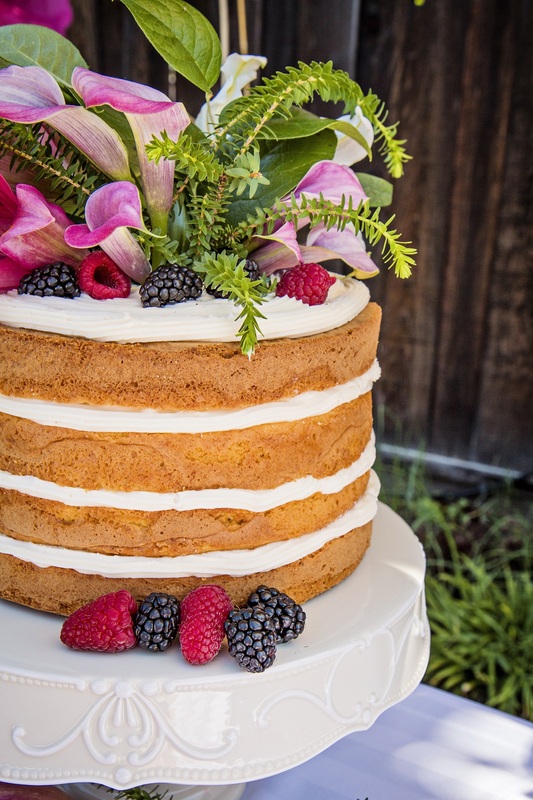 i knew i wanted simple greenery to make the flowers stay the stand out. 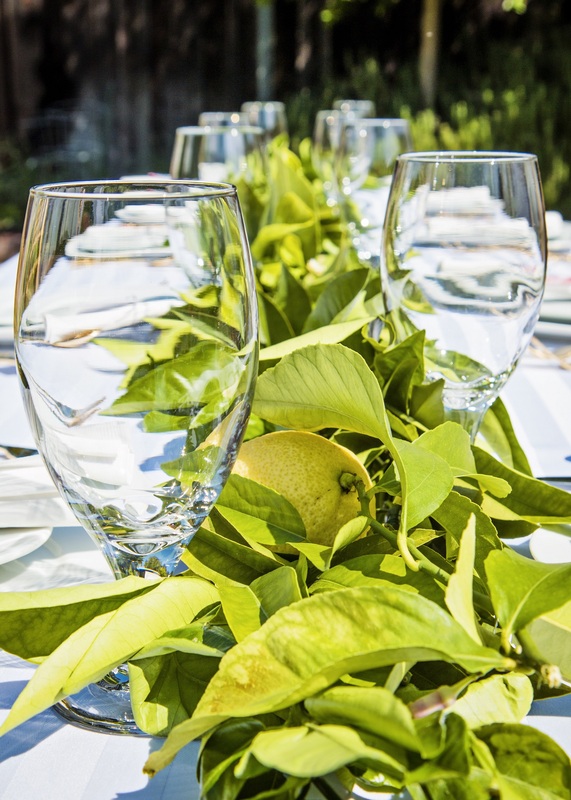 i found this tutorial of how to make a lemon leaf garland on pinterest and knew it was the perfect addition considering i have a lemon and orange tree in my backyard. i was thinking of adding some flowers to the garland but did not like the options i found at trader joe’s that weekend. next time! 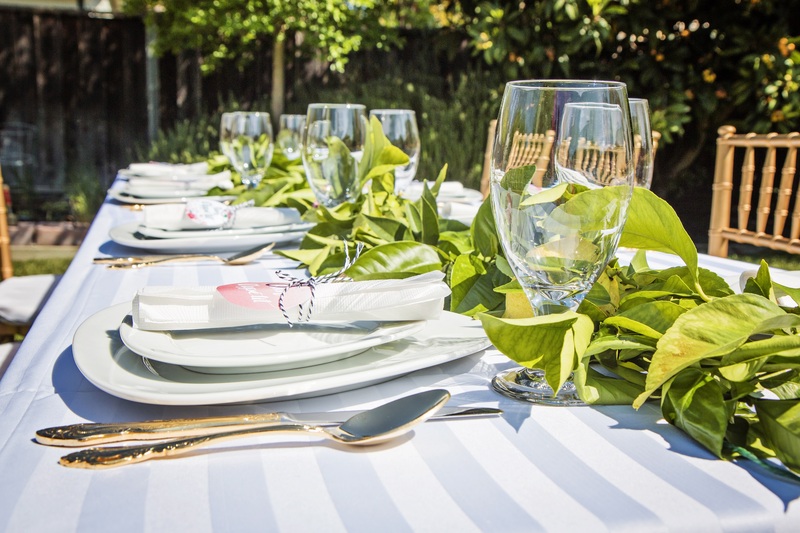 the food is why i call it a french garden party. we feasted on chicken salad croissants (great chicken salad pre made at costco), berry salad, baguettes and short bread cookies that resembled pastries. the food came together easy and can be made in advance so you are not stressing the day of. 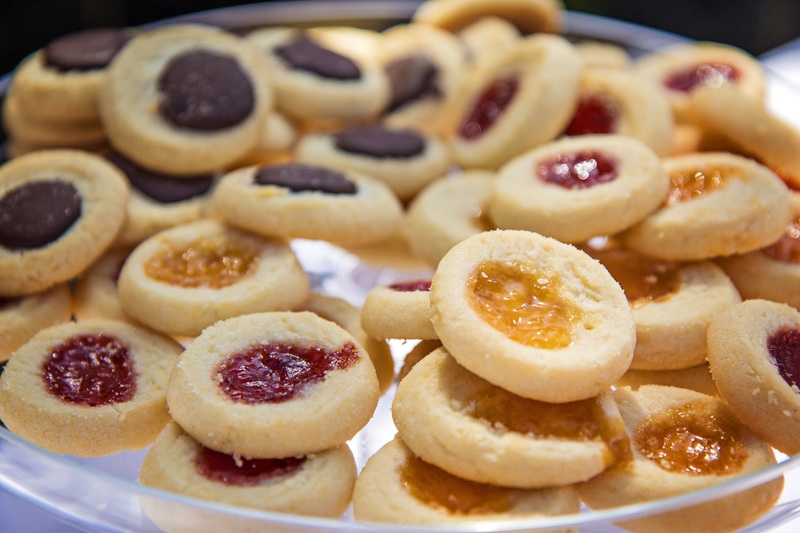 and the short bread cookies? you can thank tj’s for those. i picked up a variety of fruit and chocolate fillings. they were a hit. don’t skimp on the drinks. although we did offer water with grapefruit garnish, i wanted there to be a bit more variety so i picked up 4 different flavors of french lemonade from tj’s (trader joe’s). 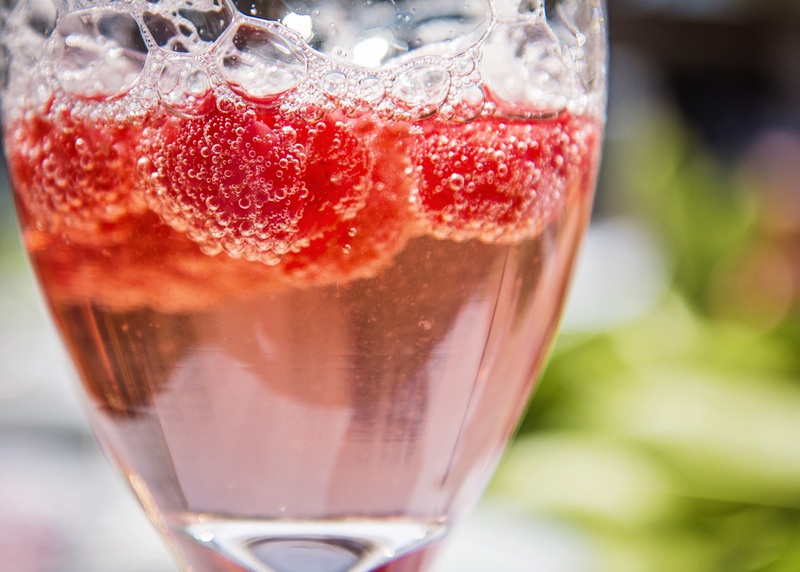 tj’s sparkling lemonade with muddled raspberries was the perfect thirst quencher in the heat. oh and please don’t forget drink stirrers! the cake was critical. 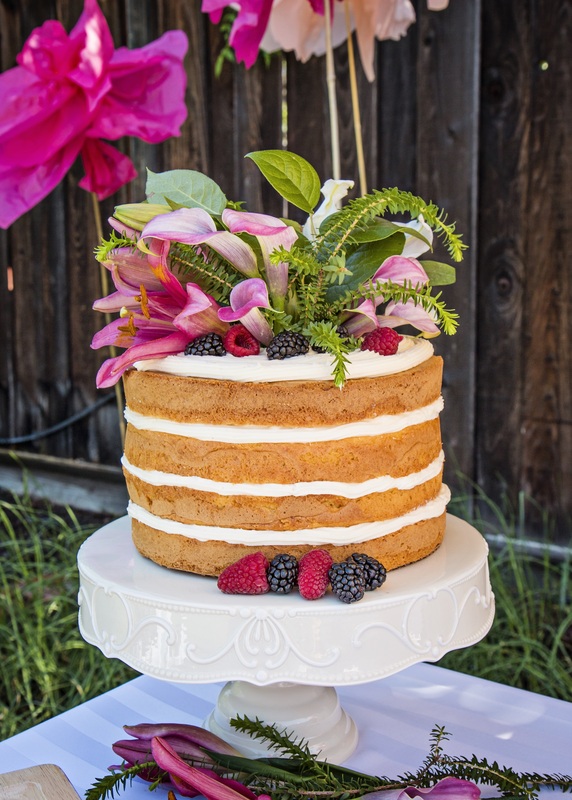 i had been dreaming up a naked cake for this event for months. 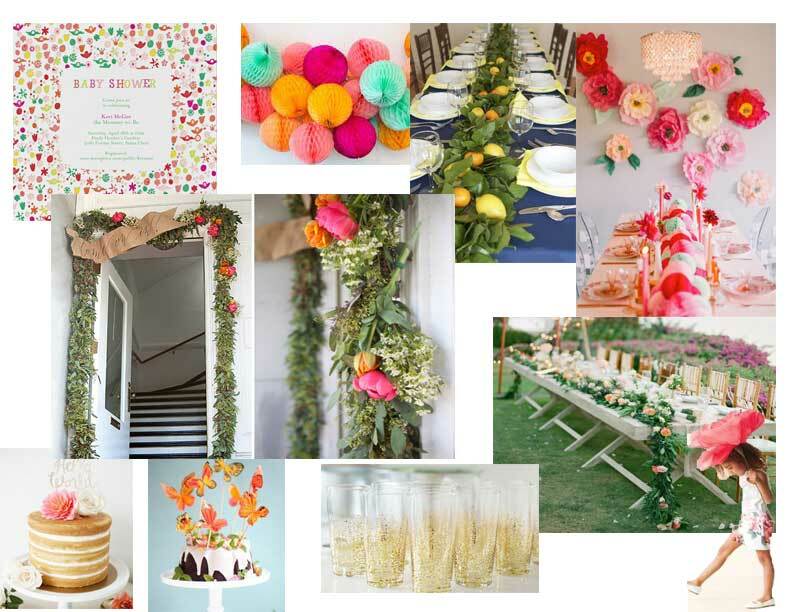 it just screams garden party — the light filling with fresh flowers. am i right? the cake scared me and so i asked a friend if she wouldn’t mind taking charge. i provided her this recipe and she just went to town. i am so so grateful for her because it really livened up the buffet table. not to mention it tasted even better than it looked. can you believe that? but you know what was the biggest factor to making this event a success? those party rentals.i can’t praise williams party rentals enough for their top notch products and incredibly helpful staff. 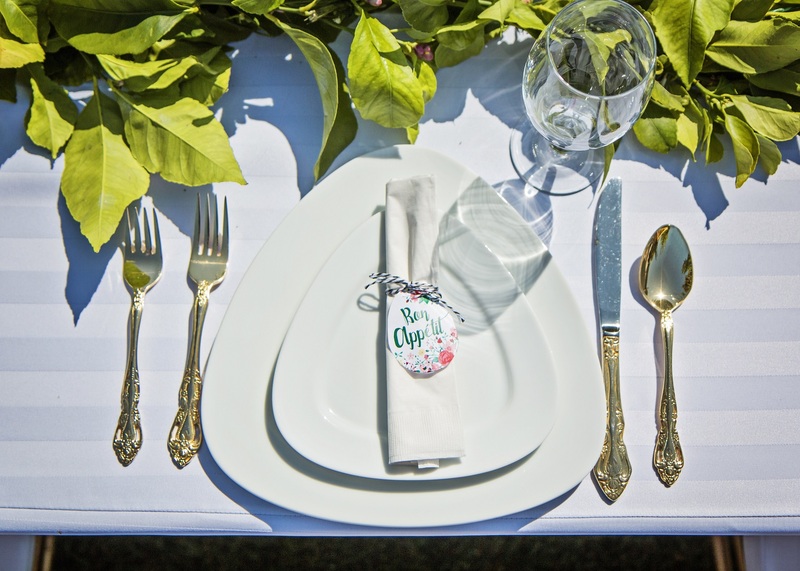 williams party rentals even makes the clean up a breeze by providing a dry cleaning bag for the linens and encouraging you to just wipe the food off the plates. no need to wash every dish your self! oh williams party rentals, you are the bees knees. all rentals were donated by william’s party rentals. all thoughts, all opinions are my own. i actually sought them out for a collaboration since they are my favorite party rental store in the bay area! 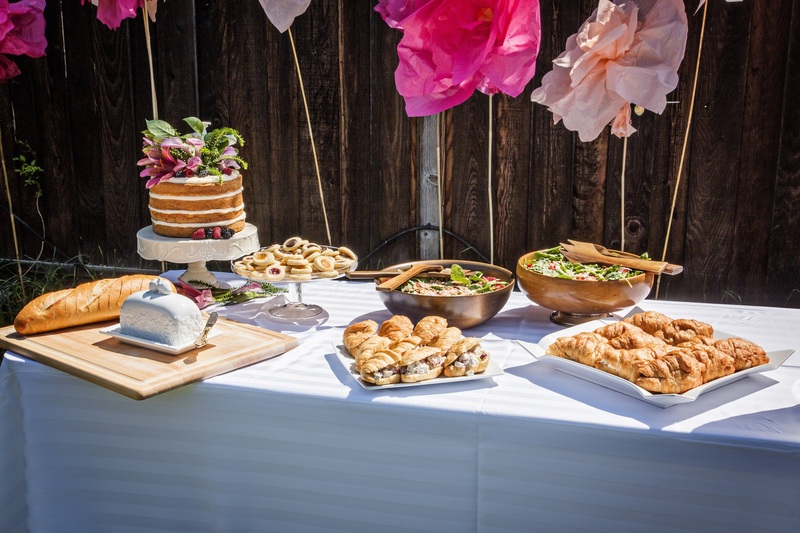 This entry was posted in Party Planning on 05/14/2015 by Ems. 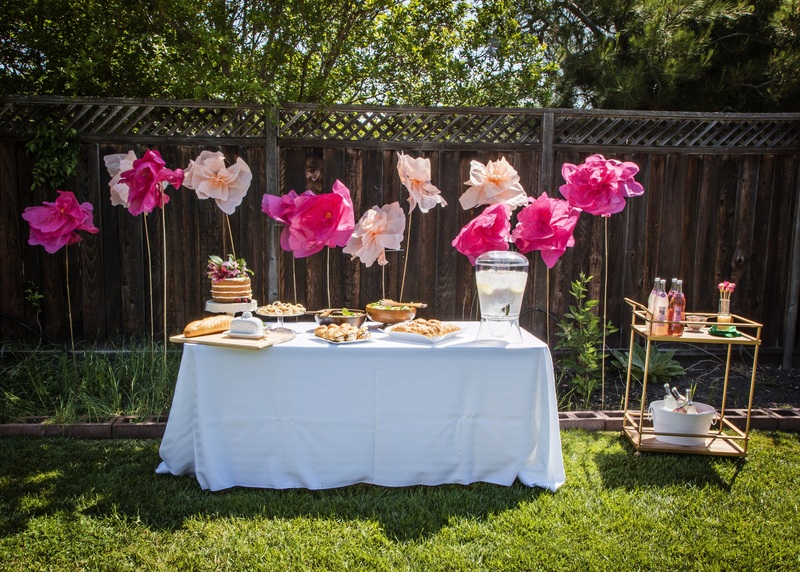 my french garden party to celebrate a dear friend turned out heavenly (of course there are always a few hiccups but once you get past those it is all forgotten). 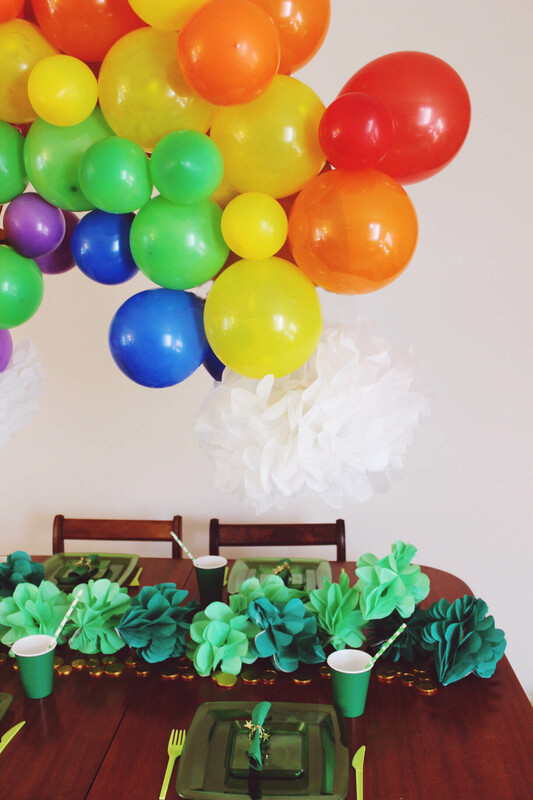 and one of the key factors that tied it all together was using william’s party rentals. 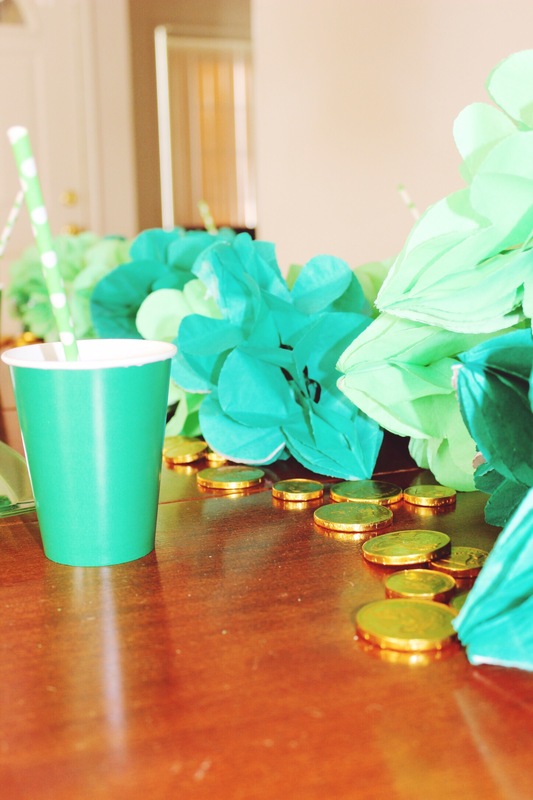 william’s party rentals has top notch service as well as a great variety of products to choose from. i was drooling over those gold chairs and wouldn’t mind having a set of those in my garage! 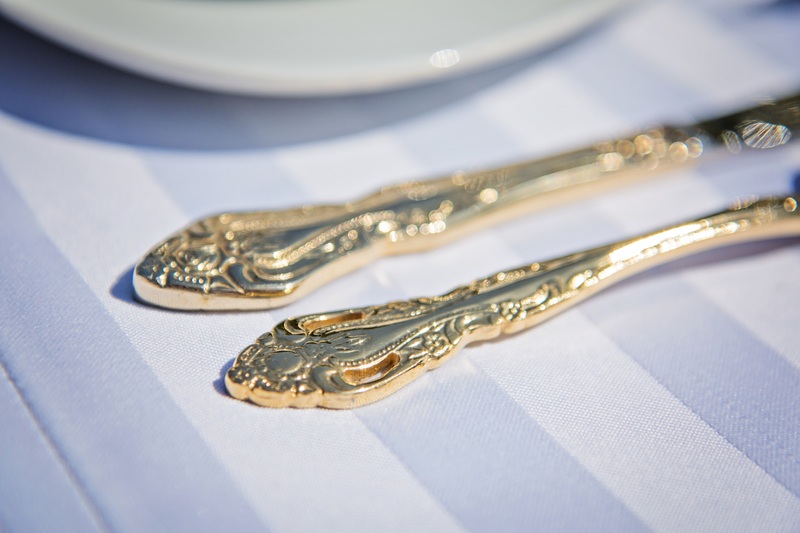 also those plates and gold utensils? seriously, i was in heaven. 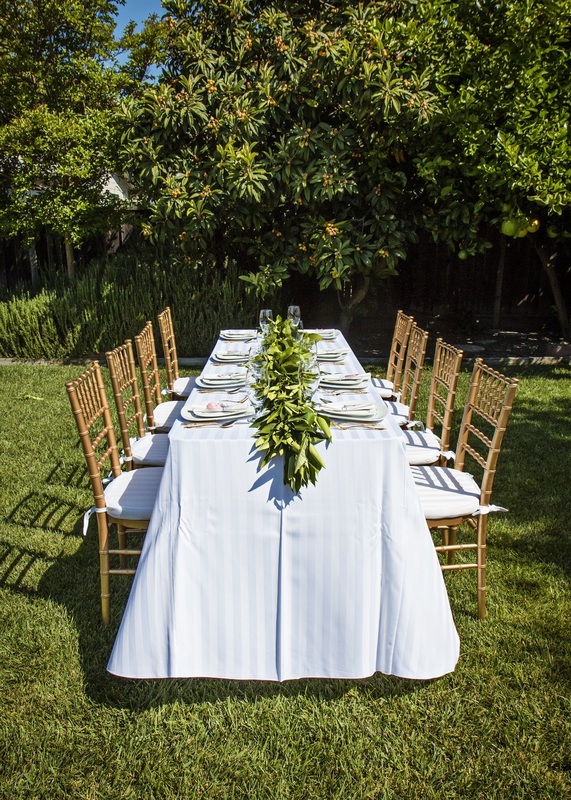 william’s party rentals takes any event to the next level seamlessly. 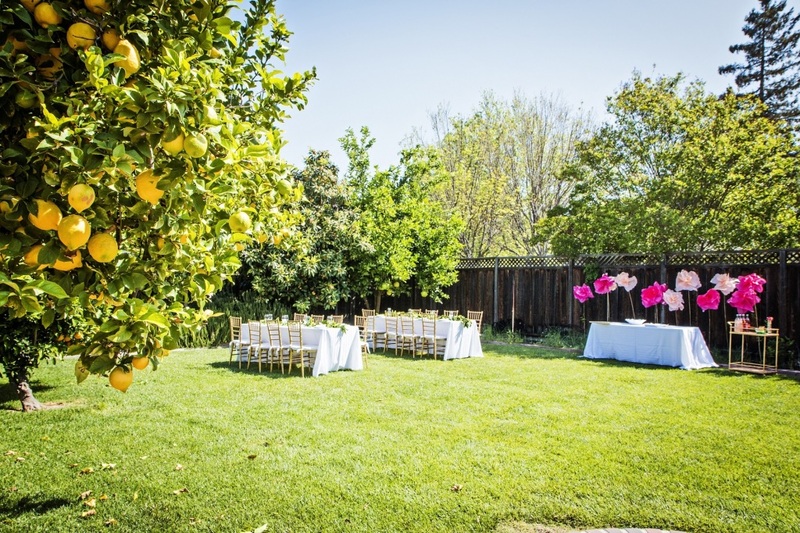 can you believe how lucky i am to have such a wonderful garden to throw soirees? b and i really lucked out in renting this house. i will definitely need to take advantage of it this summer because there is no other place i would rather be. 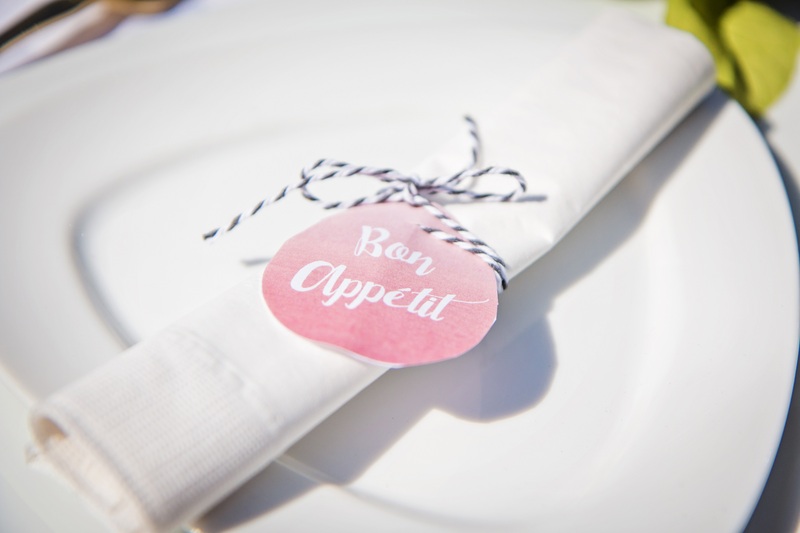 i promise to get into the nitty gritty details of the food, decor and bar cart tomorrow. today, is all about the eye candy. 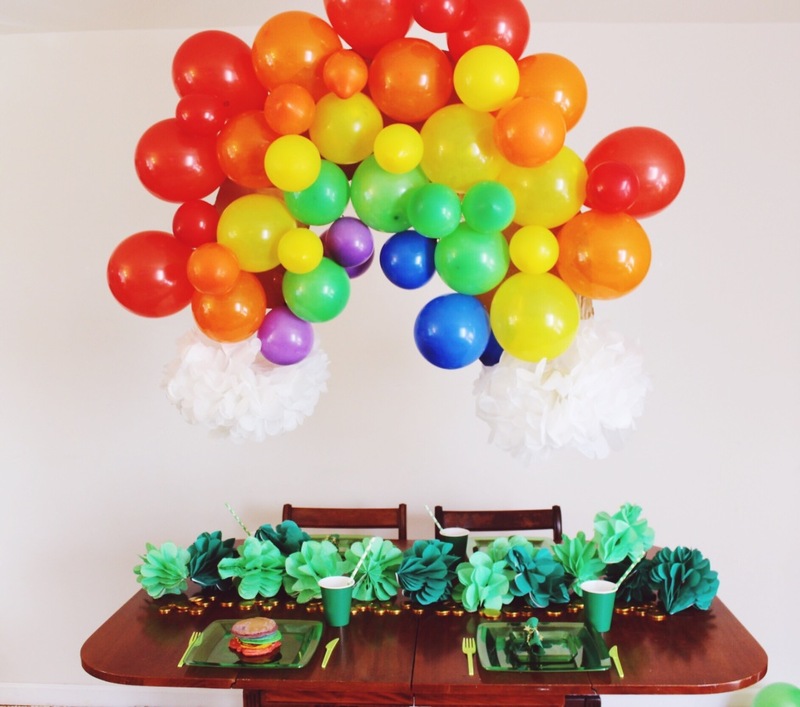 This entry was posted in Party Planning on 05/13/2015 by Ems. i love planning events. i think it is safe to say it is one of my passions. i love the logistical side as well as the creative side. i love bringing people together and making memories. i love celebrating the little monuments / holidays in life. and because of my love for all things events, i have searched high and low for the best local party shops to buy supplies from. i think it is important to look past the big chains (like party city and walmart) and find unique stores that offer a different variety of products. and after much searching, i finally found my dream party land! it is called diddams amazing party store and they are located throughout the bay area. 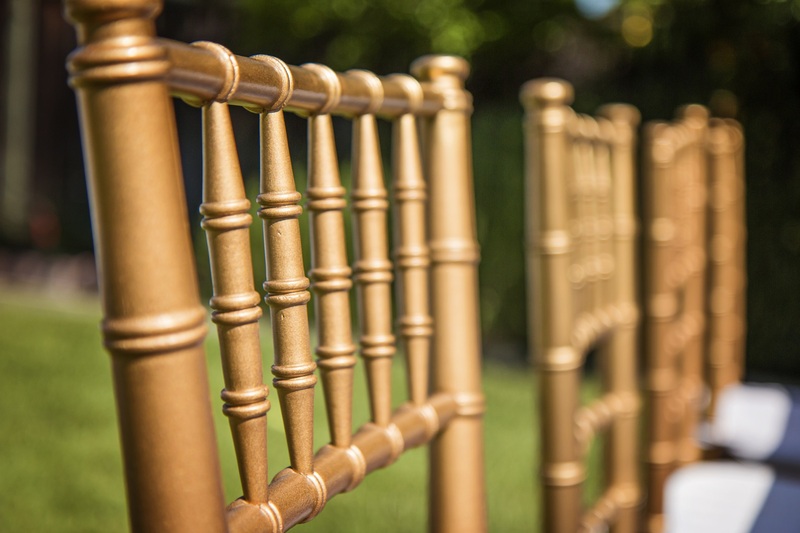 diddams has endless options and unique products. i literally find everything i need in one stop (including candy, costumes and decor) . another bonus? you are supporting the community by shopping local. i would say party city purchases 99% of their products internationally but not diddams. diddams purchases a majority of their product right here in the bay area. 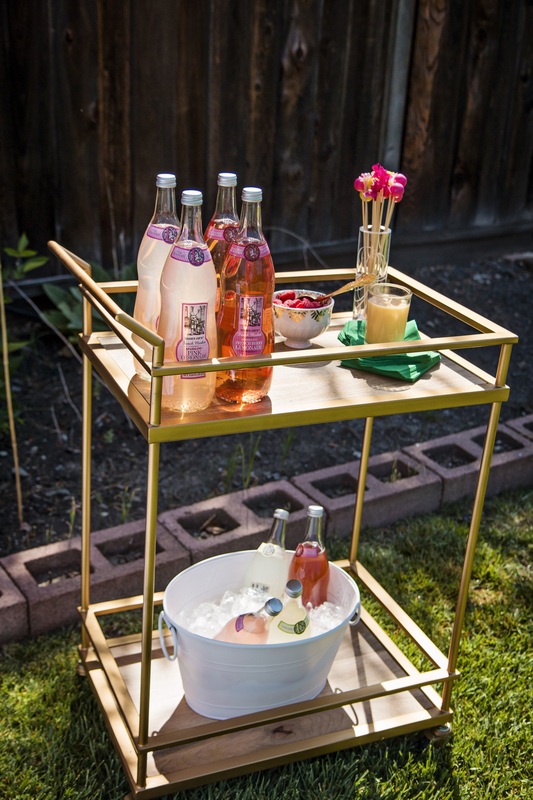 i peruse diddams frequently to find inspiration for my future gatherings. their holiday decor is expansive and that is when i realized i really could be celebrating more than i already do! one of those holidays that i do not celebrate annually but think i should is st. patrick’s day. did i mention every single product (besides tape) was bought at diddams? 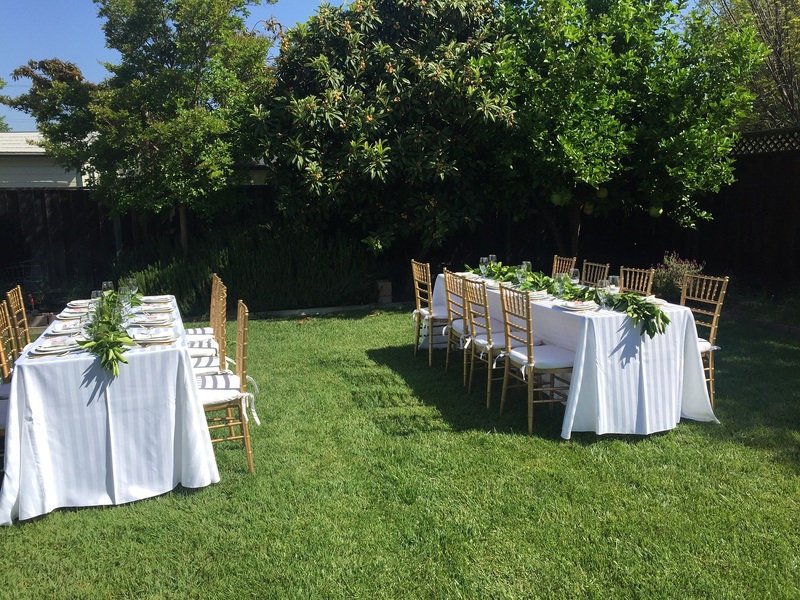 diddams saved me so much time running around that i was actually able to spend more time on the decor of my event. are you ready for another bonus?? 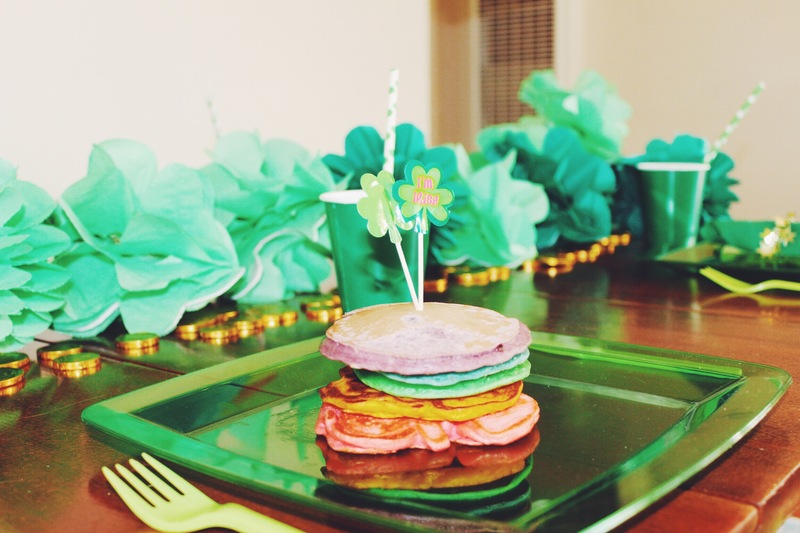 diddams is offering all vivre blog readers 10% off their entire st. patrick’s day purchase. head to their website now to print out your coupon today! what are you favorite forgotten holidays to celebrate? this post was sponsored by diddams amazing party store. all thoughts, all opinions are my own. i actually sought them out for a collaboration since they are my favorite party store in the bay area! 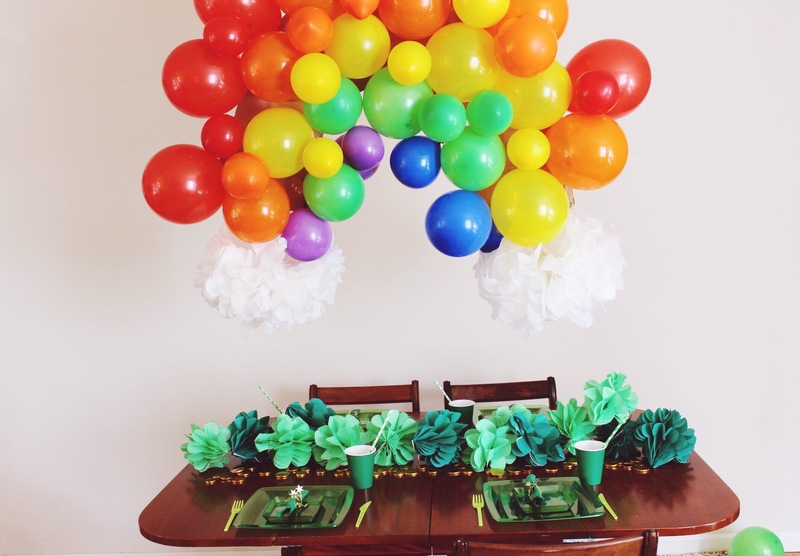 This entry was posted in Party Planning and tagged Buy Local, Local Party Stores, Party Decor, St. Patrick's Day on 03/04/2015 by Ems. this weekend, i , along with a couple of friends, threw a baby shower for a dear mother to be. she will be having a little girl in two weeks and i couldn’t be more thrilled for her. i took on the task of party favors. i thought a lot about the perfect favor, researched heavily and spoke with friends. and after much deliberation, i decided on popcorn treats. 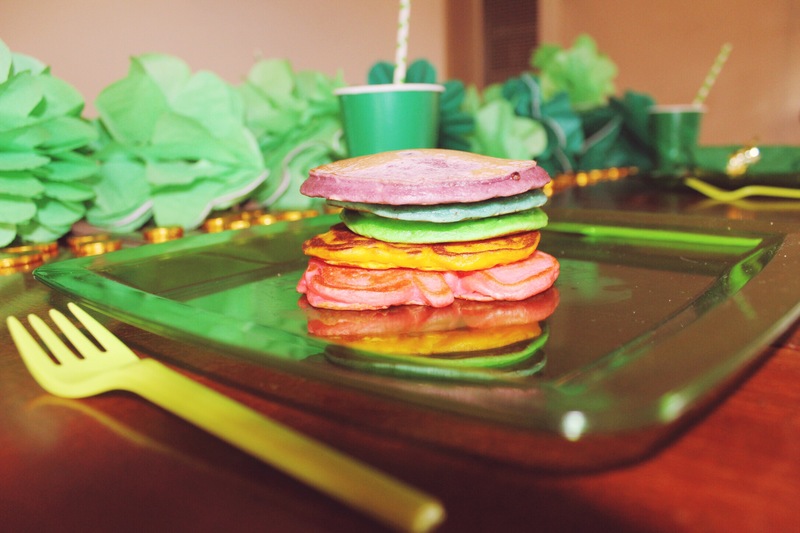 it was relatively quick & easy to put together and the result was both delicious and darling. 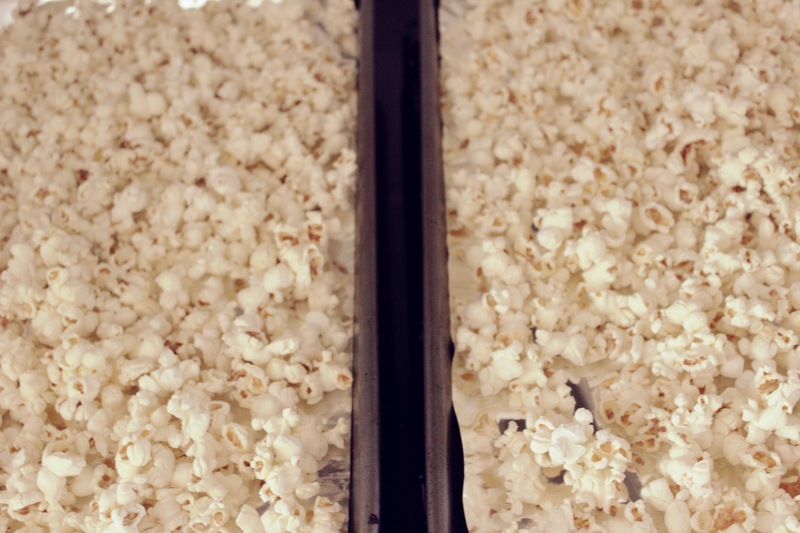 2. spread the popcorn on cookie sheets. 3. melt the white chocolate for thirty seconds. stir. repeat till chocolate is smooth. 5. pour chocolate over popcorn and use your hands to make sure popcorn is coated. * always use melting chocolate. chocolate chips don’t usually give the right consistency. * better to have more chocolate than skimp on it! 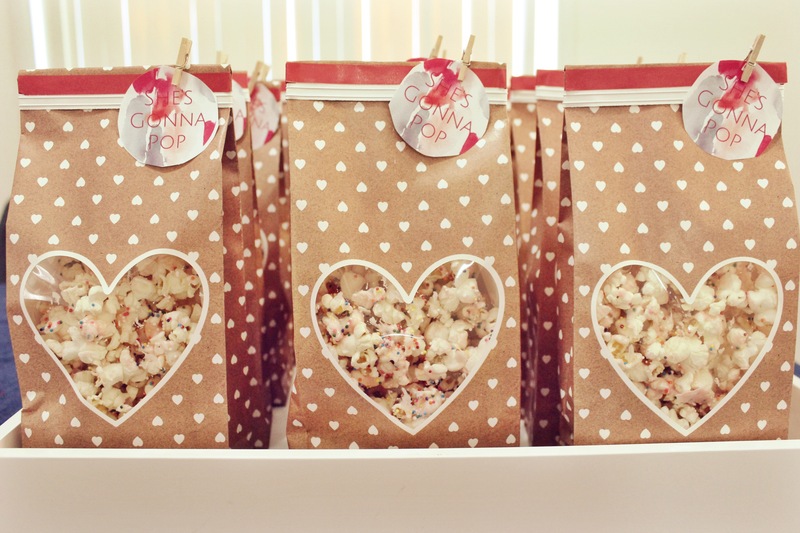 * put together the bags the day of the event so popcorn is crisp. *make sure your bags are completely sealed so sprinkles don’t fall out of them (learned this the hard way). 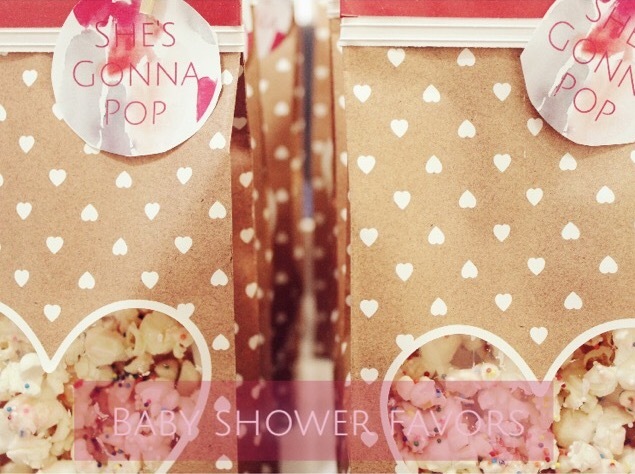 what are your favorite baby shower party favors? 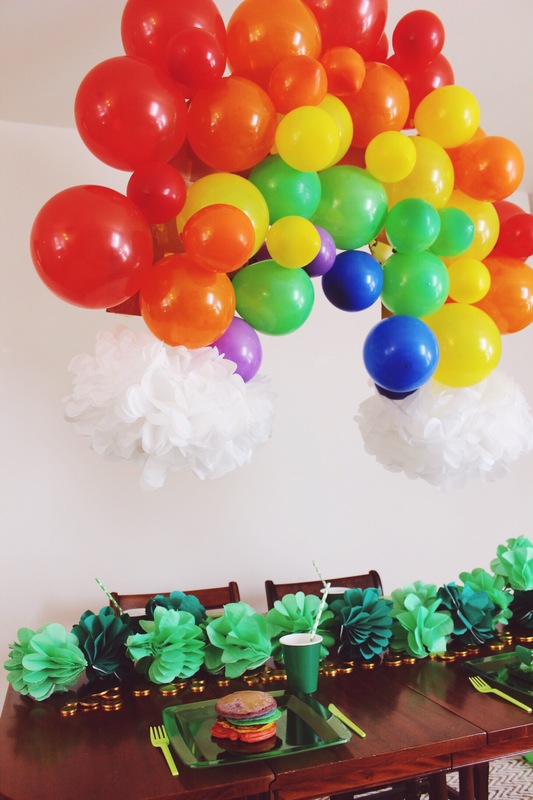 This entry was posted in Party Planning on 01/25/2015 by Ems.